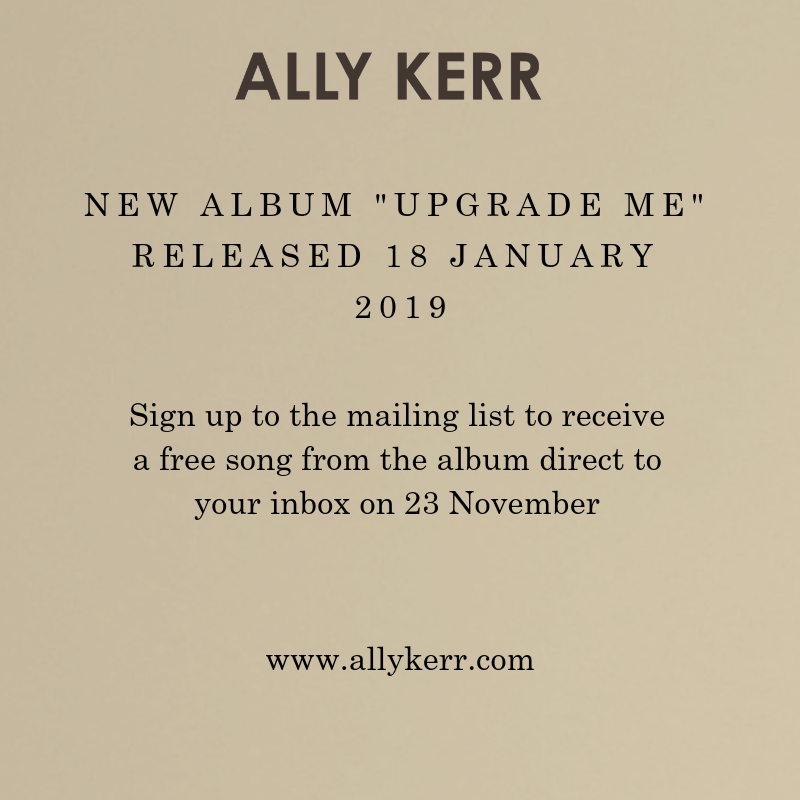 This is the single Upgrade Me taken from Ally Kerr’s forthcoming album (also called upgrade Me) that will be released on 18th January 2019. This now appears on all digital platforms to buy or stream. 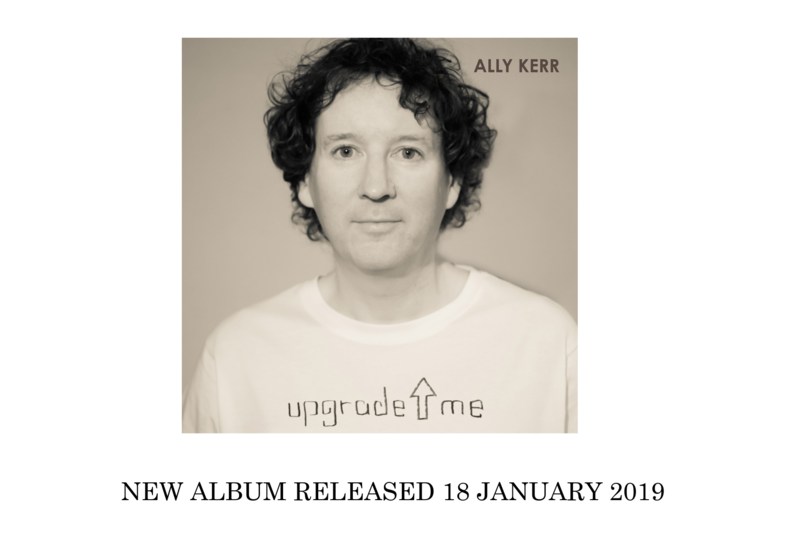 Here’s the first new song from Ally Kerr’s new album – Upgrade Me – out 18th January 2019. This now appears on all digital platforms. The album is available to pre-order directly from our webshop (signed CD available and digitally on Bandcamp) and also iTunes/Apple and a pre-save on Spotify so it’ll appear in your library the minute it’s released. The pre-order also comes with an immediate download of this song. Another wee video snippet from the recording studio for your eyes and ears. This one’s called “As Far As I Can See”. A further slice of recording evidence featuring some superb musicians. This one’s called ‘Another Way’. Hello to you. 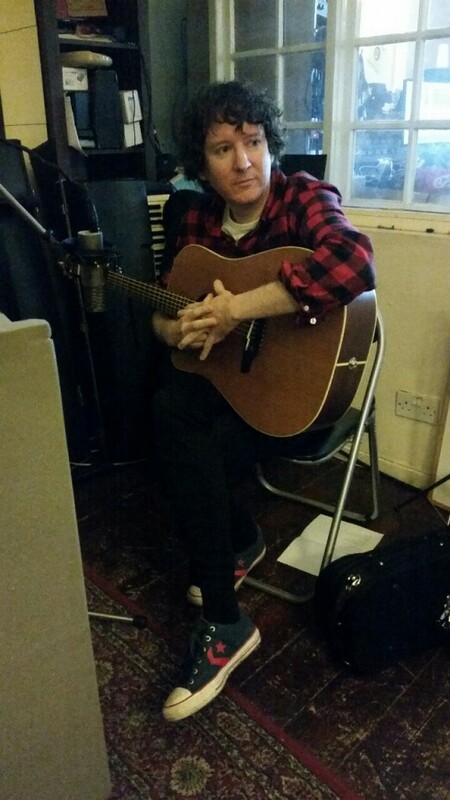 Further video evidence of album recording in action – this song is called All We Cannot Say. Strings, strings, strings, strings! Very pleased to be recording strings with these great players (Pete, Kate, Rik and Simon), and the talented Mr Johnny Smillie making sure everything is in place to capture the best sound..
Recording is happening, progress is being made and a new collection of songs is coming together….. Here’s the first piece of video evidence. Just a brief update to say that Ally is preparing songs and making plans for the recording of a new album. More info coming soon.